As the founder of the Center for Law and Economics at George Mason University and dean emeritus of the George Mason School of Law, Henry G. Manne is one of the founding scholars of law and economics as a discipline. 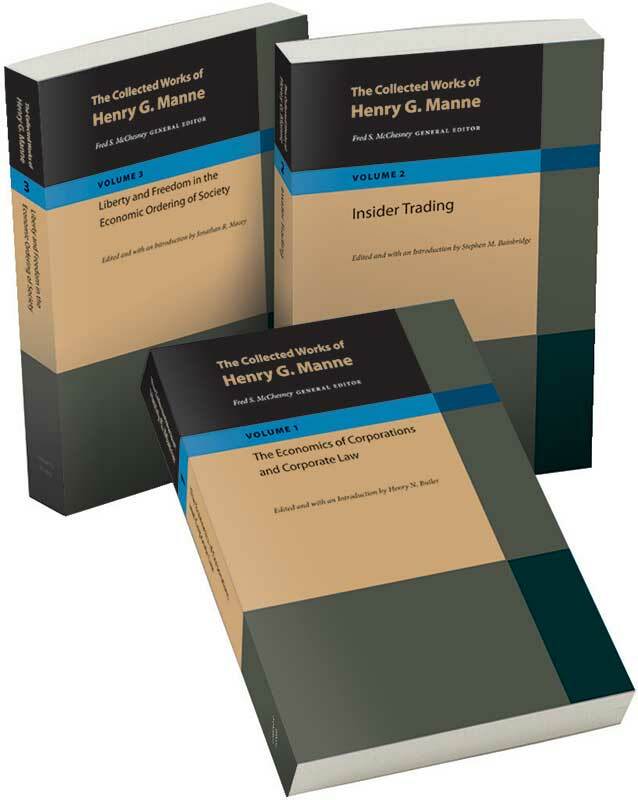 This three-volume collection includes articles, reviews, and books from more than four decades, featuring Wall Street in Transition, which redefined the commonly held view of the corporate firm. Fred S. McChesney is James B. Haddad Class of 1967 Professor of Law at the Northwestern University School of Law, focusing on business and antitrust law and their intersection with economic theory. General introduction, an introduction to each volume, biography of Henry G. Manne, an index to each volume, cumulative index.